Within four years of entering the Indian market, Chinese smartphone maker Vivo India has clocked in a phenomenal rise of 78 per cent in its overall revenue. Vivo’s rise to the fame in India marks a growing dominance of the Chinese smartphone makers in India, which collectively account for over 60 per cent of the smartphone market. Though Vivo’s net losses have decreased in the past two years, its overall revenue has actually doubled. The company posted a net loss of Rs 113.96 crore in 2016-17 and Rs 120.45 crore in 2017-18 but its revenues rose to Rs 11,179.3 crore in FY 18 from Rs 6292.96 crore the year before. Experts suggest the company’s real strategy is long-term investment, which may take years to shows its full impact but they will surely make its position stronger in India, the world’s biggest mobile phone market. Now like Oppo’s Realme and Xiaomi’s Pocophone, Vivo is also planning to launch a new brand to drive in more online sales. The company also plans to hire more local executives to better understand the domestic mobile phone market. “Like these two brands (Oppo and Xiaomi), Vivo’s upcoming online exclusive brand will be specification-focussed with an aggressive pricing. Vivo’s online foray last fiscal helped the brand to gain sales and this strategy will help it to maintain growth this fiscal too,” an executive told the Economic Times. According to the latest research from Counterpoint’s Market Monitor service, Vivo and Oppo were the fastest growing brands followed by Huawei. Counterpoint research found out that Vivo recorded its third highest shipments at 12 per cent in India during Q2 2018, while other top two brands, Samsung and Xiaomi, accounted for 28 per cent shipments each. The Chinese handset maker had roped in Bollywood actor Aamir Khan as its brand ambassador for the Indian market in March. Khan has been signed for future brand and product communication initiatives of Vivo India. 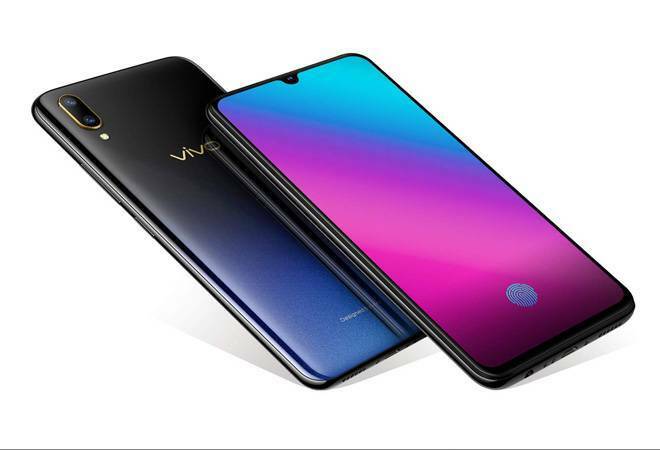 The company’s latest offering in India is Vivo V11 Pro at Rs 25,990. The smartphone comes with a waterdrop notch and an in-display fingerprint sensor. It was recently unveiled in Thailand, without the ‘Pro’ suffix. The device is available for pre-order on Flipkart and Amazon India and will go on sale for the first time on September 12 via online and offline channels. The Vivo V11 Pro will be sold across India in two colour options – Dazzling Gold and Starry Black.